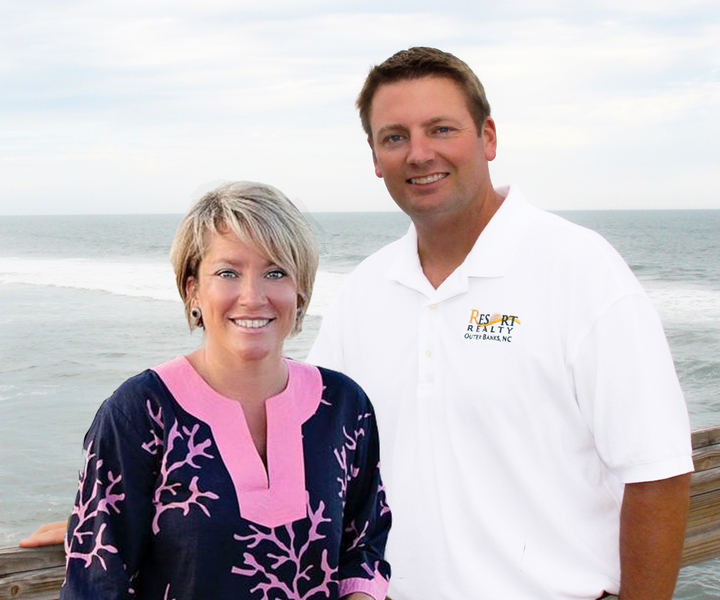 One of the gems of the Outer Banks community of Pine Island awaits the next discerning buyer! 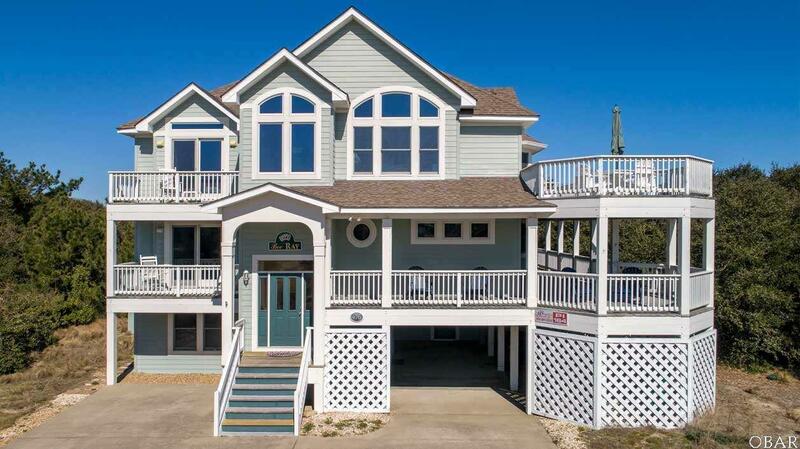 With close proximity to both beach and community amenities, this custom beach house, comprised of 3 master suites and 6 bedrooms total, provides plenty of extras to keep guests and family engaged and relaxed in comfort. The gorgeous main living area is highlighted by vaulted ceilings and surrounded by windows to let in the dazzling Carolina sunshine. The gourmet will feel at home in the kitchen boasting tile floors, stainless appliances, granite counters and 42 inch cabinets. The kitchen boast two dishwashers, and there is a refrigerator on the first and third floors for easy access to drinks, food, and ice. Each bedroom has been recently tastefully updated with colorful coastal dÃ©cor and furnishings. The gameroom with billiard table and wetbar lead out to the pool area where the fun never stops! The outdoor areas of this home are just as gracious as the indoors. Relax with a book in a shaded hammock or burn off stress in the new hot tub.Take a dip in the private 16 x 32 foot pool surrounded by mature landscaping for complete privacy with plenty of room for lounging on the expanded pool deck. This is one of the few Pine Island interior home that has a pool not overlooked by other homes. Totally private. Afternoons in the southern exposure pool are heavenly. The pool has childproof gates for additional security. For lunch, dine on sun deck off the top floor or grab a cocktail at the new pool-side tiki bar. Take a look at our virtual tour: https://my.matterport.com/show/?m=fPJywGDRVT8 The original owners are continually updating this property so all the next owner has to do is enjoy. Recent upgrades and maintenance in the last three years includes: 2 new water heaters, 1 new AC condenser, new pool liner, new hot tub, Ten-foot pool deck extension, new bath fixtures, lighting, and bath accessories in all 6 bathrooms, new tile shower floors in both King Master baths, new glass frameless shower doors and granite thresholds in both King Master baths, new faux wood blinds on all bedroom, bath, and rec room windows, new carpet in the rec room, all new flat screen TVs, new granite countertop in 3rd floor kitchen and 1st floor wet bar, new stainless steel appliances, 2 dishwashers, sink, refrigerator, stove, and microwave, new ceiling fans throughout, new outdoor Tiki Bar, new outdoor Furniture, new Basketball game in ground floor bedroom. Call for a complete list of items and dates for each. The community amenity area is just around the corner from this private cul-de-sac. Owner has limited rents in the past. With the seasons opened this home could bring in more rental income. Call for details.